BORREGO SPRINGS, California — As a truck devotee who’s put nearly 12,000 miles on the first-gen Ford Raptor, half of them while racing across some of the world’s most dangerous and inhospitable landscapes, I couldn’t wait to get behind the wheel of the new 2017 Ford F-150 Raptor, which Ford says has been upgraded in nearly every significant way. 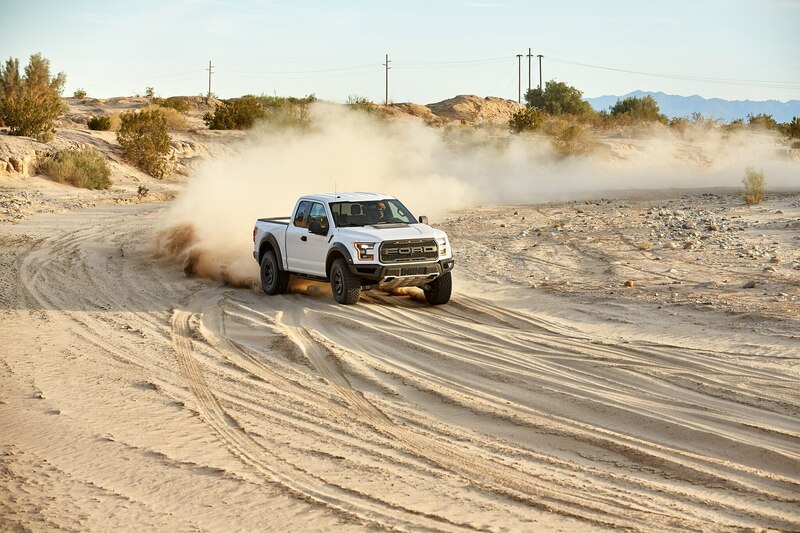 And I couldn’t think of a better place to sample the new Raptor than at its spiritual home—Anza-Borrego Desert State Park. 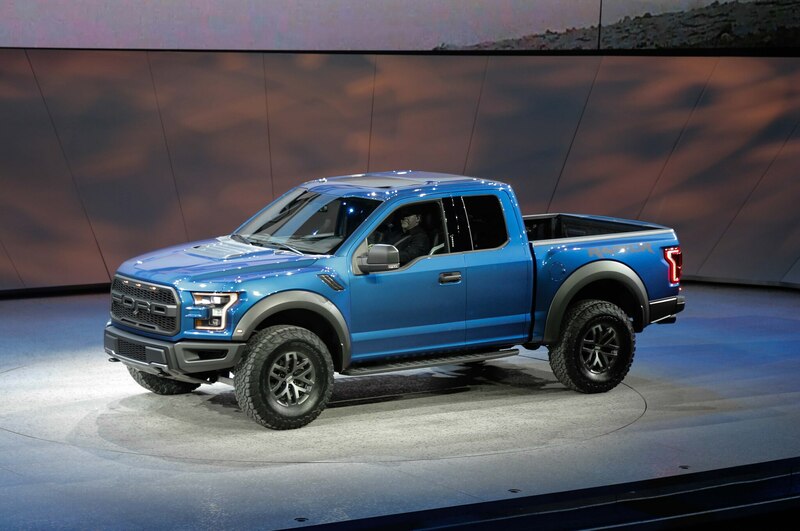 Launched for the 2010 model year, the original Ford SVT Raptor was a fresh take on production-spec truck performance. 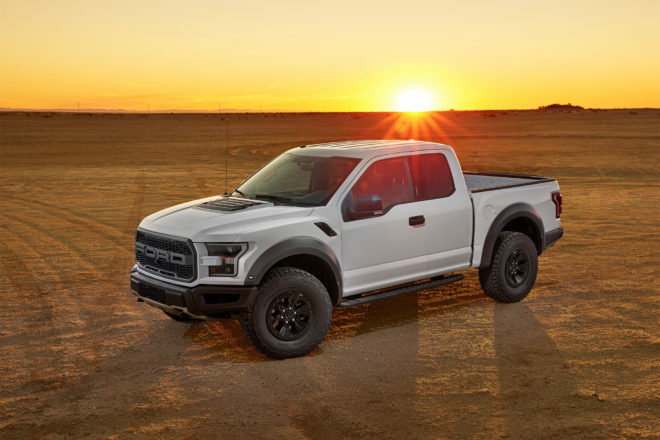 Though it shared its cab with F-150, the Raptor’s underpinnings were specifically tailored, widened, strengthened, or simply replaced in order to develop the Raptor’s unique blend of go-fast performance and off-road ability. 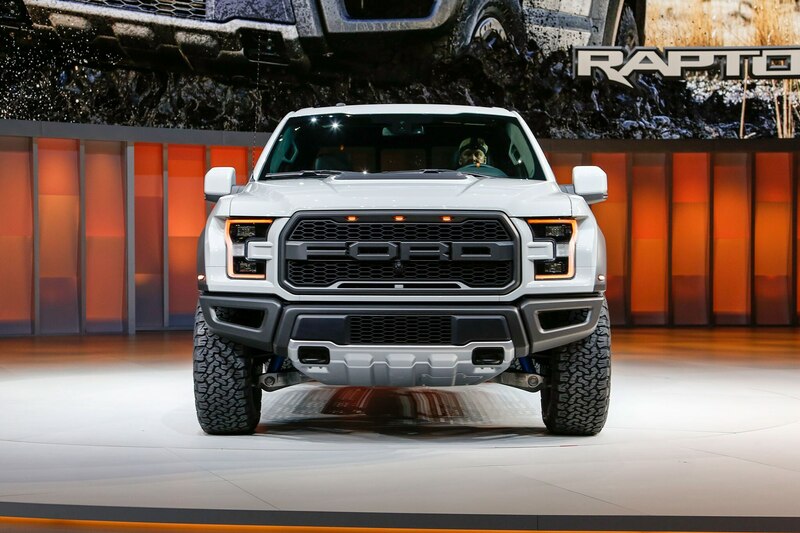 It turned out to be an even bigger hit than Ford imagined. 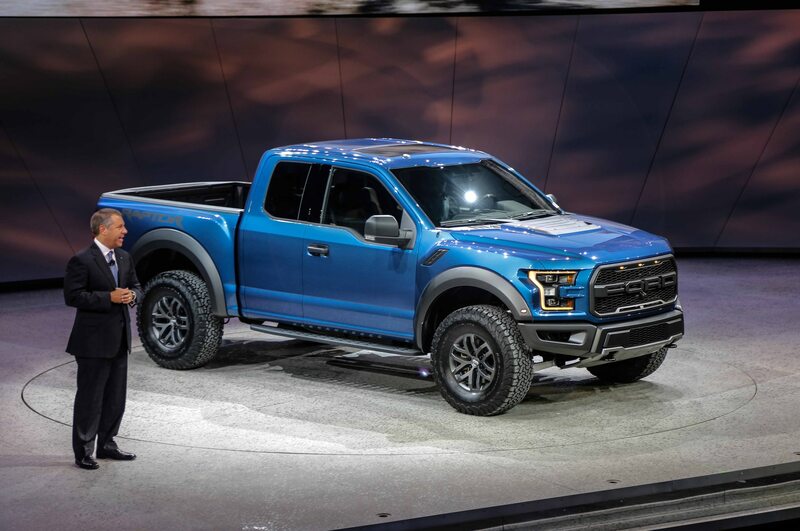 Dispensing with the SVT prefix after a one-year hiatus, the 2017 Raptor starts with the new F-150’s aluminum body but with a purpose-built variant of its frame that features a higher-strength steel box. 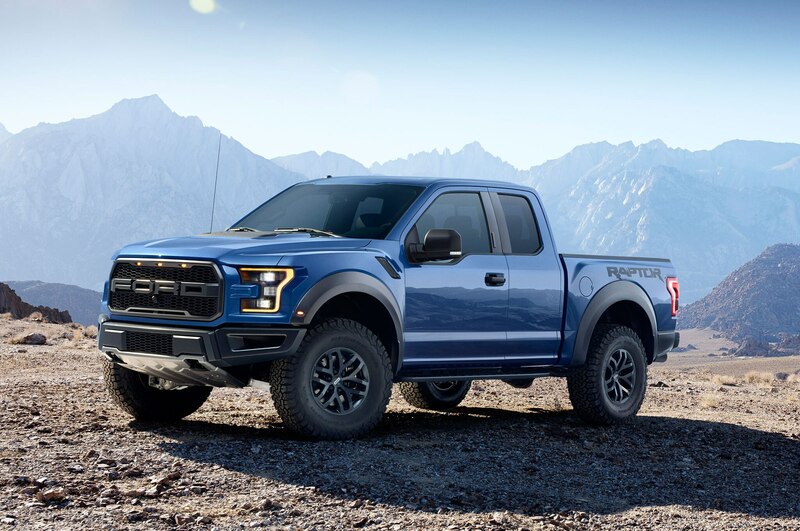 It’s also been engineered for a sprightlier, stronger chassis with greater torsional rigidity, and its shock mounts have been toughened to better handle increased off-road loads. 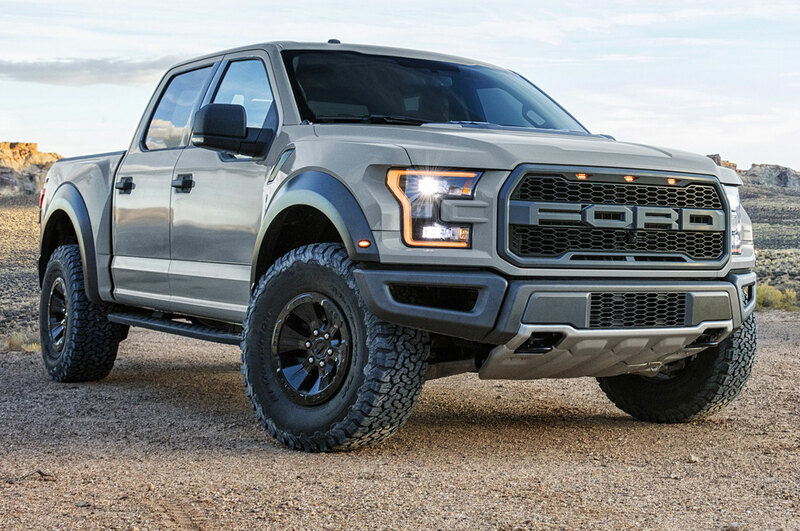 The Raptor shares elements of its cab with the F-150 and Super Duty, but it is all-new from the A-pillar forward. 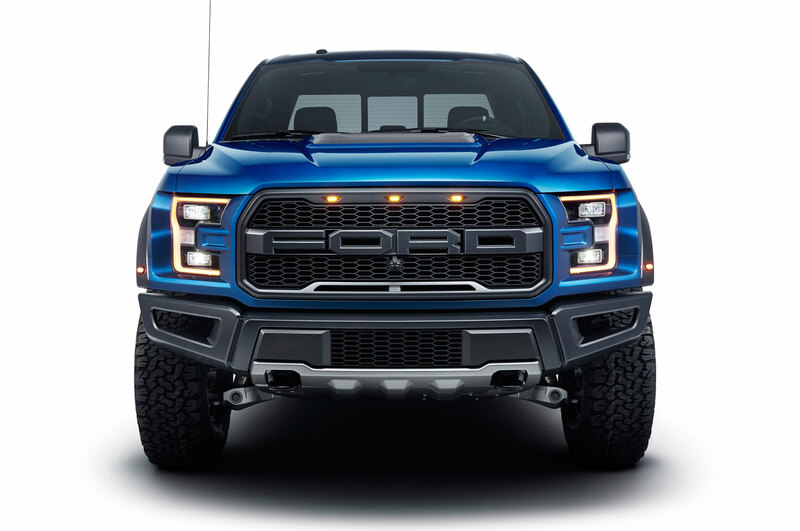 The fenders have been pulled up and pushed out and are accented by new hood and fender vents, running boards, exposed mechanicals, and true dual exhaust pipes — all created by Ford’s chief pickup designer Gordon Platto and his team. 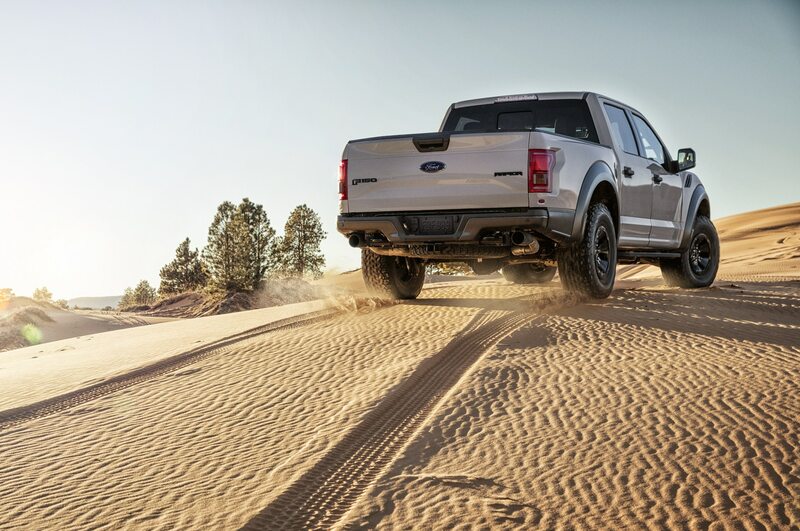 Approach and departure angles have been improved, a longer-travel suspension has been accommodated, and greater lateral stability has been baked in, resulting in better handling on and off road. 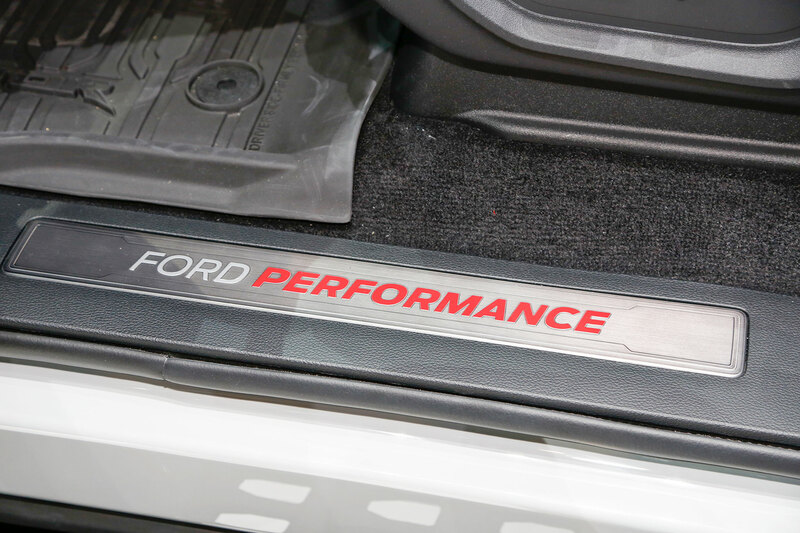 Power comes from a reengineered version of Ford’s 3.5-liter, twin-turbo EcoBoost V-6 producing 450 horsepower and 510 lb-ft of torque (increases of 39 and 76, respectively) while consuming less fuel—fuel economy goes up 23 percent to 15/18 mpg city/highway. 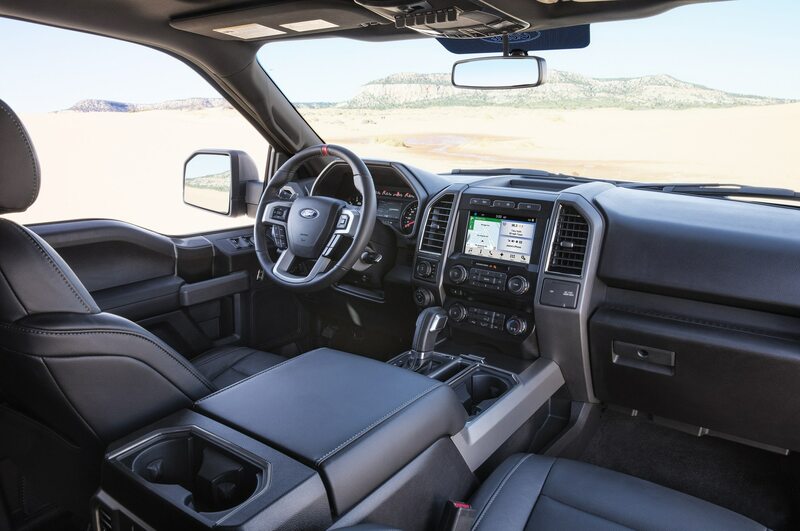 Mated to Ford’s all-new 10-speed transmission, the updated setup has auto start/stop and is coupled to a new dual-mode transfer case that engages either all-wheel-drive or four-wheel drive through a clutch-based, torque-on-demand system to the front and rear wheels. 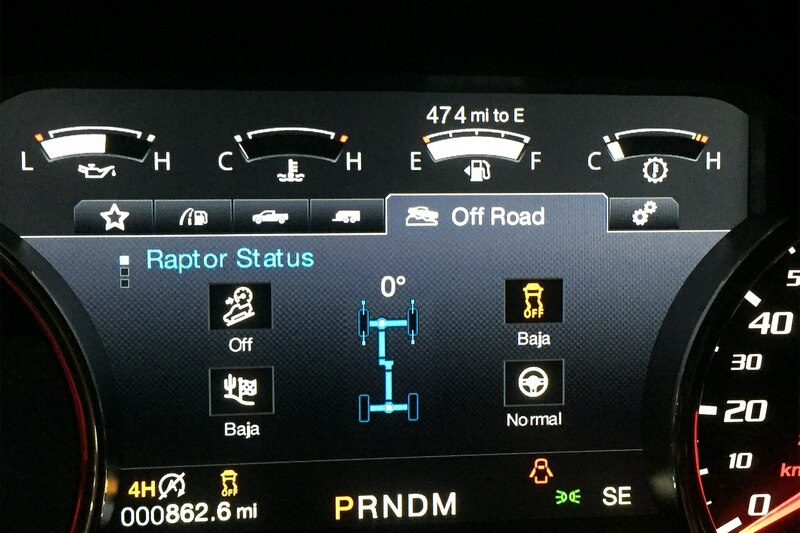 There’s also a mechanical lock for 4×4 High and 4×4 Low, and its six-mode Terrain Management System includes a unique to the Raptor Baja mode for desert racing. On the pavement, the 2017 Raptor impressed us with its improved overall ride comfort, ergonomics and visibility, and its new three driver-selectable electric power-assisted steering modes: Normal for everyday driving that optimizes fuel economy, Sport for higher effort and more torque feedback, and Comfort for easier maneuvering. We tried all three: Comfort brought a lighter steering feel that was not to our liking for the roadways we traveled from San Diego to the desert that had us winding up and over mountain passes and meandering along undulating pavement, but it’s a setting that would be fitting for flat-as-a-roadmap swaths of I-80. 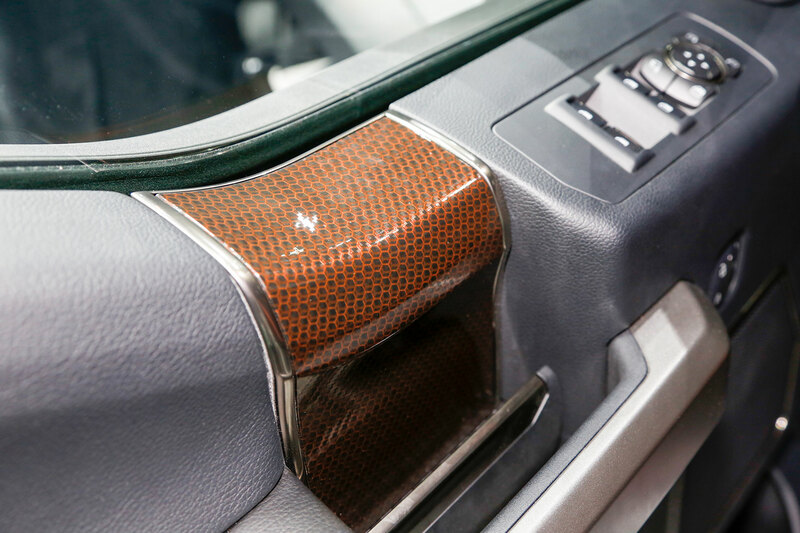 We appreciated Normal as it lightened the steering load compared to Sport and allowed more relaxed driving in urban areas and along straight stretches of tarmac. 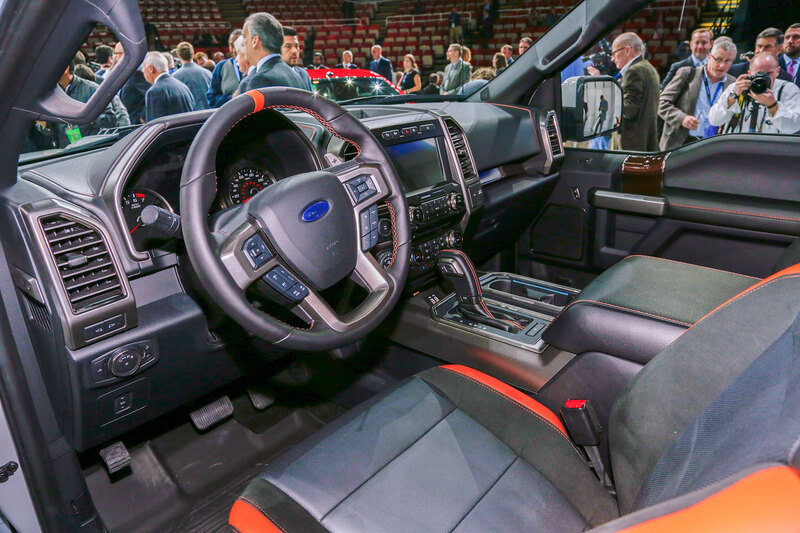 Sport was our go-to mode for taking corners in a more aggressive fashion with good on-center feel. 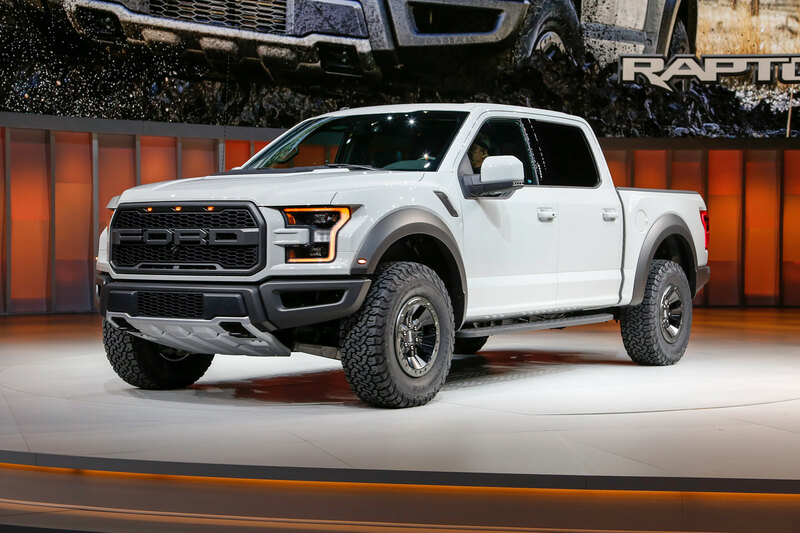 However, the SuperCrew’s nearly 5,700 pounds of bulk still required some busy hands wrangling to get it through sections of twisties, where its girth and stature had some smaller vehicles on shared roadways looking for runoff room. 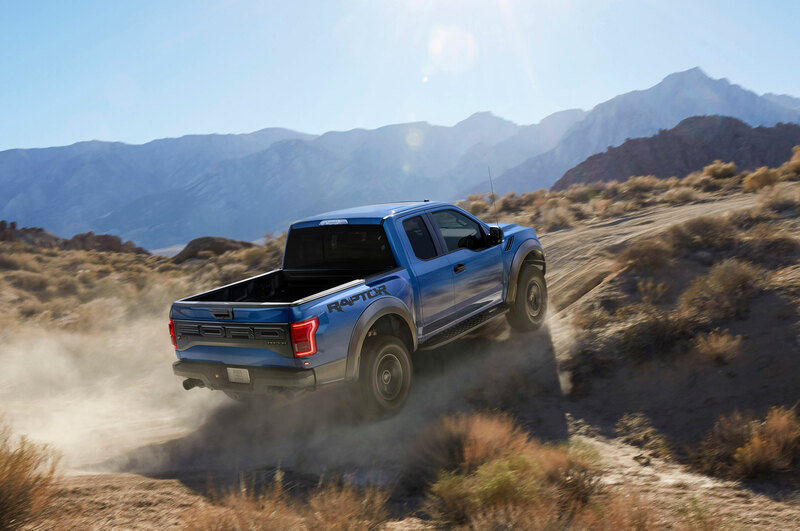 A lengthy list of changes make the new model more agile and less trucky than the outgoing version, which drove more like a high-rolling, heavy-duty pickup. 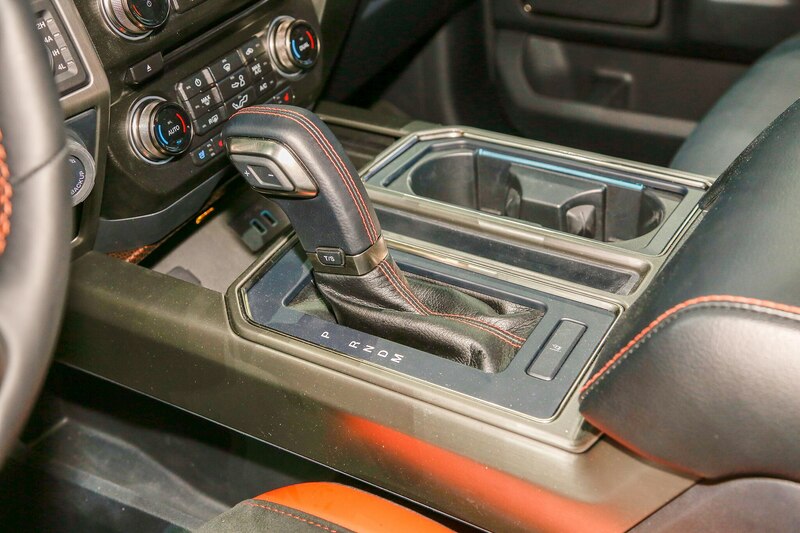 Less weight, more horses, and astute throttle mapping controls shifting with 10 gears makes for smoother and more controlled motoring that nearly negated my desire to use the paddles. 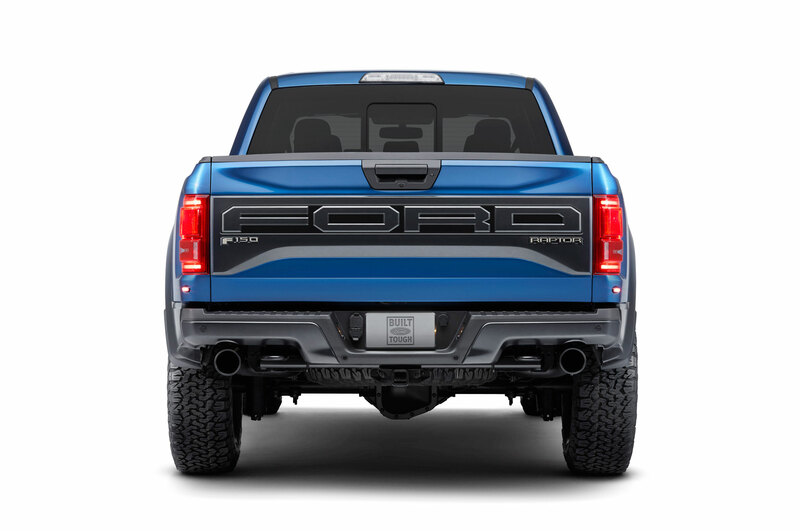 Greater suspension travel managed by increased bypass damping, a wider track, and a more rearward center of gravity made the everyday ride more settled and less like a jouncy Baja Buggy. 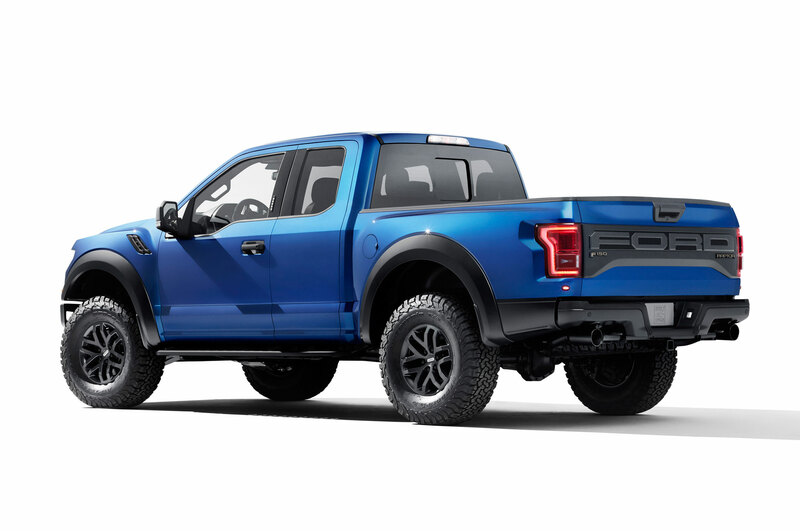 Best upgrade for road? 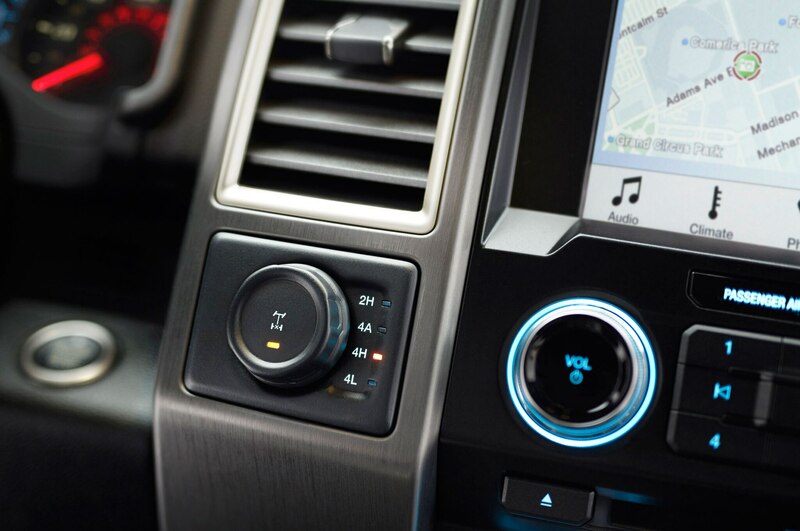 Mashing the pedal in the Terrain Mode’s Sport setting brought seductive speed akin to a science lesson in what 510 lb-ft of torque can do to move a large mass with alacrity. 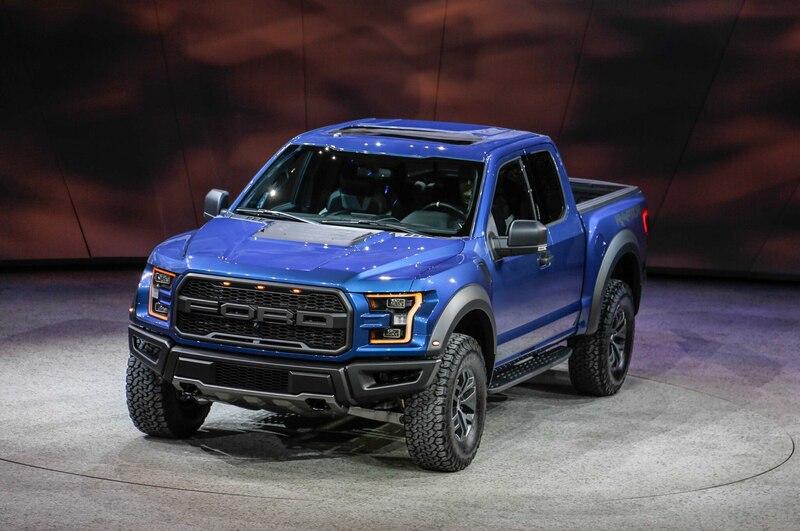 We also like its slightly quieter exhaust note, which is still plenty burly at full throttle but not as bad-boy boisterous as the previous gen’s V-8 growl. 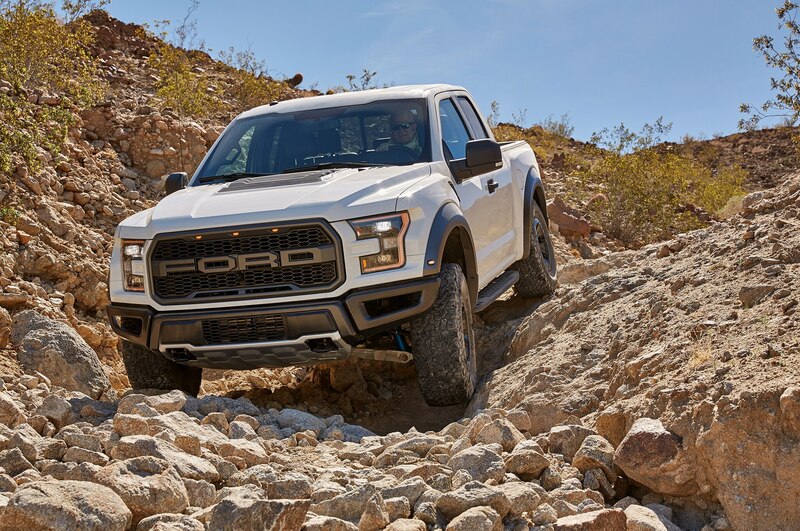 During the slow-speed off-road portion of the drive, we tested the new Super Cab’s Rock Crawl mode over a rock-strewn track punctuated by an extreme 21-degree climb that ascended a hard-scrabble “waterfall.” Our experience with the previous truck set us up to use light “left-foot braking” as a traction aid in arduous conditions and to flatten any bounce in the ride. 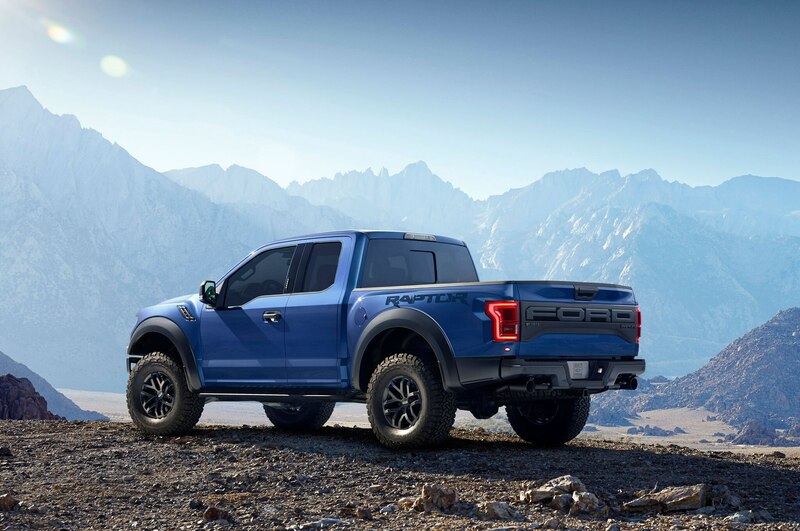 But we quickly discovered that wasn’t really necessary, as the new gear ratios and the engineering of the rock setting motivated it safely up and downhill over perilous angles in a controlled and independent manner. 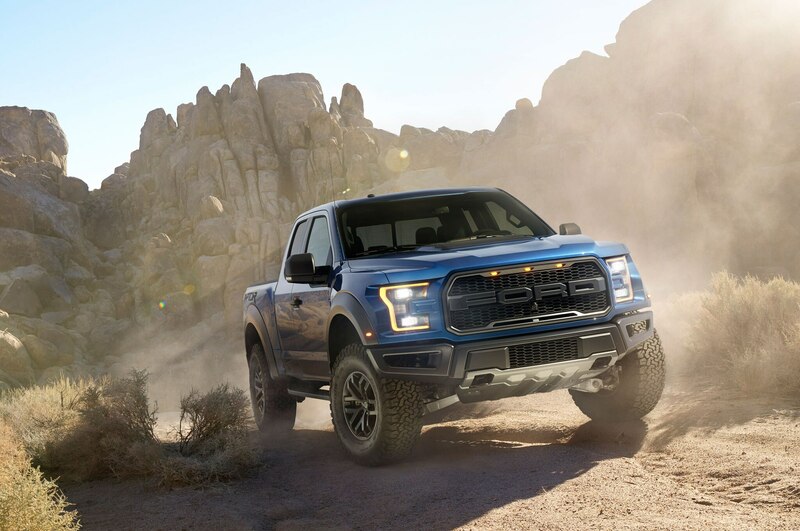 Ford engineers said that even its top drivers had a difficult time ascending the waterfall hill in the previous Raptor, by way of comparison. 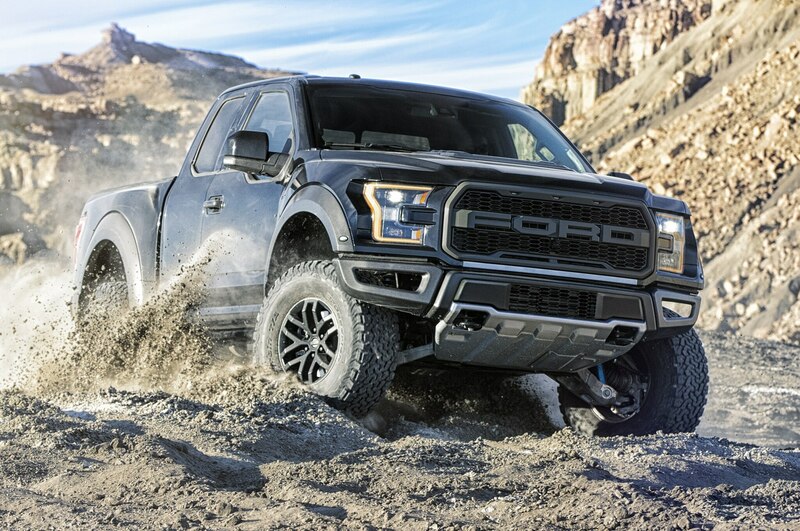 Upgrades that add proficiency in mud and rocks are its increased ride height; improved angles of approach, breakover, and departure; and the available Torsen front differential that brings added grunt to help pull the massive truck up and over steep hills and obstacles. 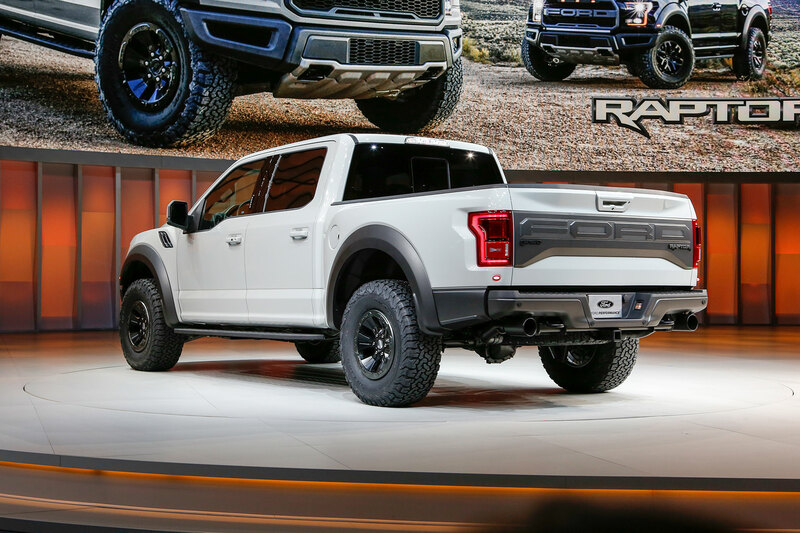 One of the biggest differences we noticed during the slow-speed section was the new Raptor’s improved prowess at lower rpms. 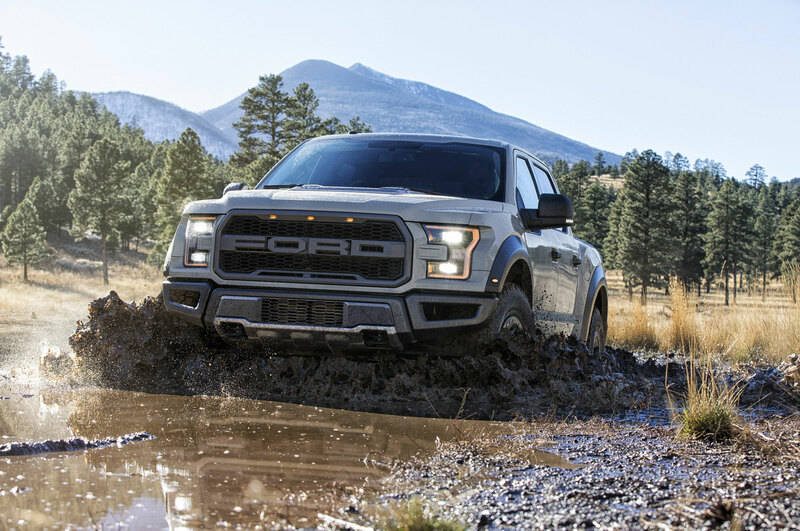 Our favorite portion of the drive was on Ford’s 55-mile-long durability loop along tracks that included an assortment of quintessential off-road terrain. 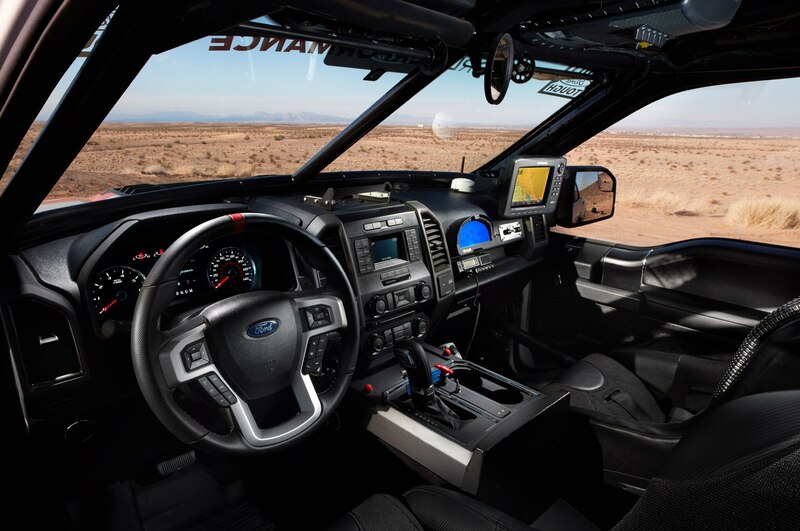 Desert running—and racing—is what made the previous generation truck stand out as a class of one. 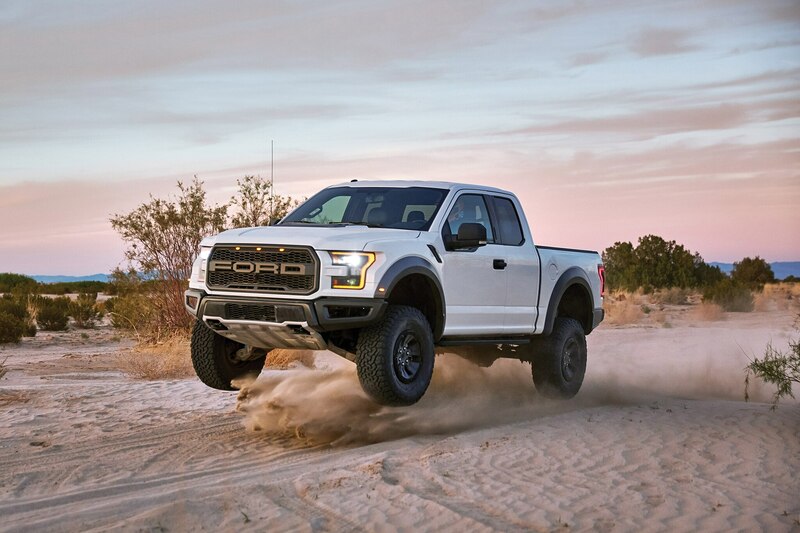 The new 2017 Raptor not only raises the bar, it leaves the first-gen Raptor in the dust. 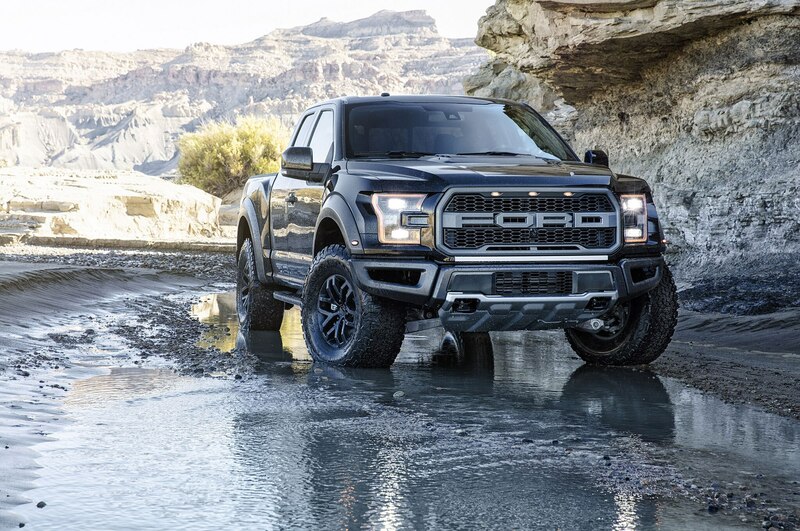 Toggling the terrain mode to Baja, we started our run on hard-packed washboard, enthralled by the rush of on-tap torque, the tight but not overly boosted steering, and the Raptor’s straight-line, hunkered-down stance. 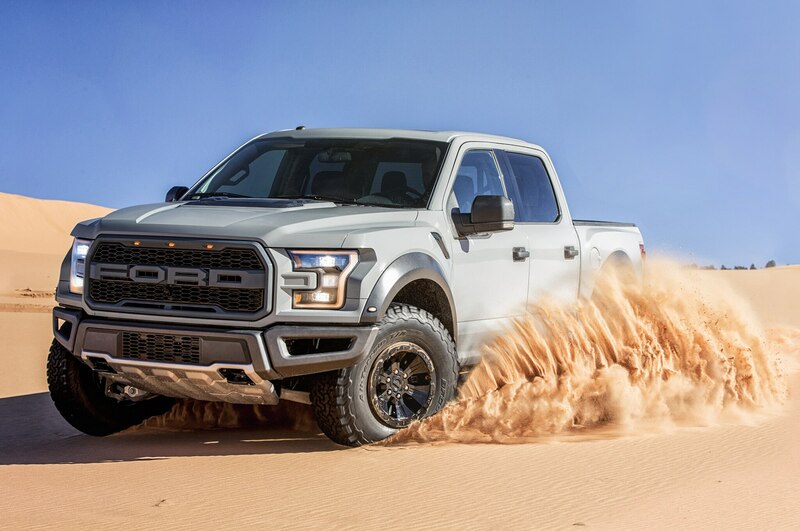 Slamming on the brakes at 80 mph (and checking it twice), we were impressed by its quick and steady on-point stops, thanking the Raptor’s added track width, and slickened profile. 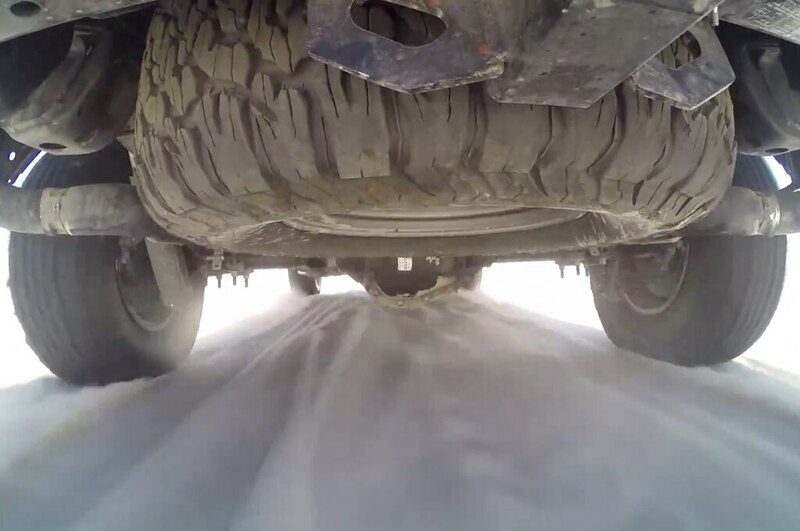 The new BF Goodrich tires helped as well. 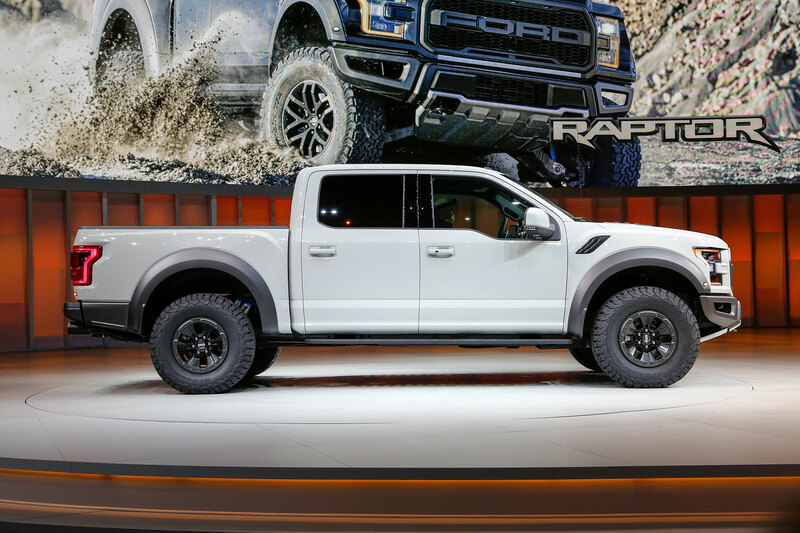 They feature a wider contact patch, broader sidewalls designed for better support under load, and more aggressive siping—all of which work in concert to enhance the Raptor’s traction. 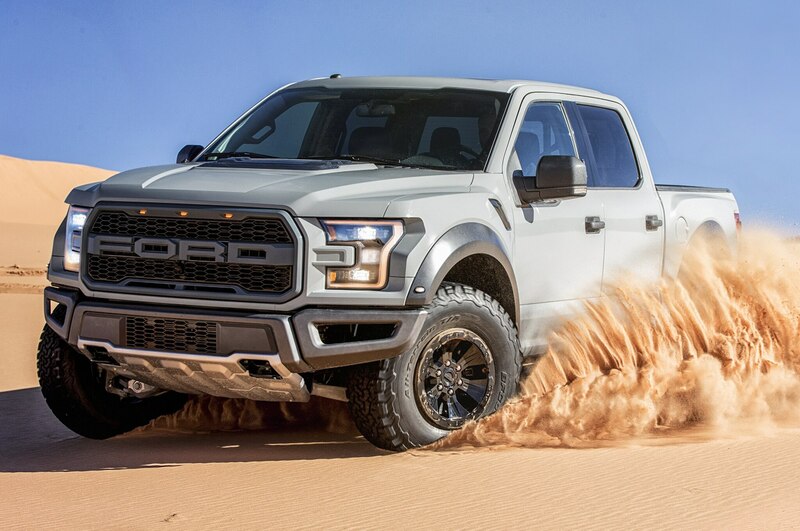 As the terrain morphed into soft sand, desert washes, and a zigzagging trail with bumps and rises, the Raptor’s upgraded suspension gave us considerably more wheel travel and soaked up the bumps with little fanfare, keeping the truck square on its feet for faster motoring. 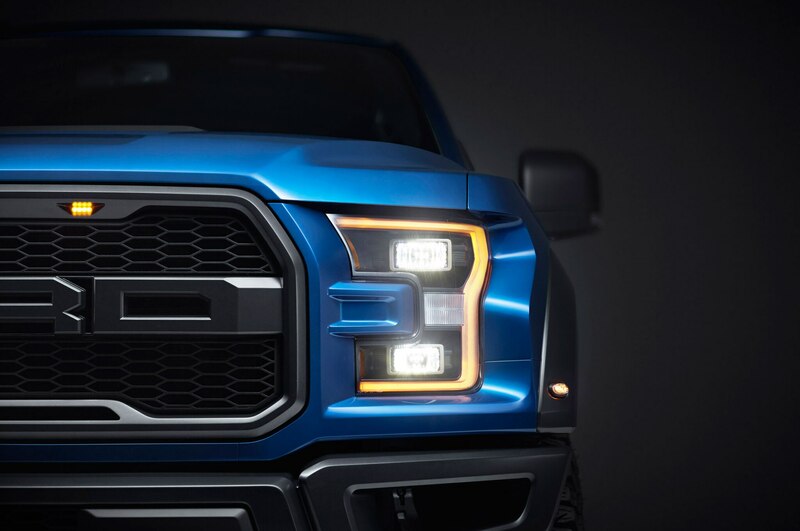 After trusting the always-at-the-ready torque (not to mention the computer-generated throttle and transmission modulations), we stopped overdriving the new truck as we often had to do with its predecessor and backed off to let it do more of the work—even when winking at three-digits on the odometer. 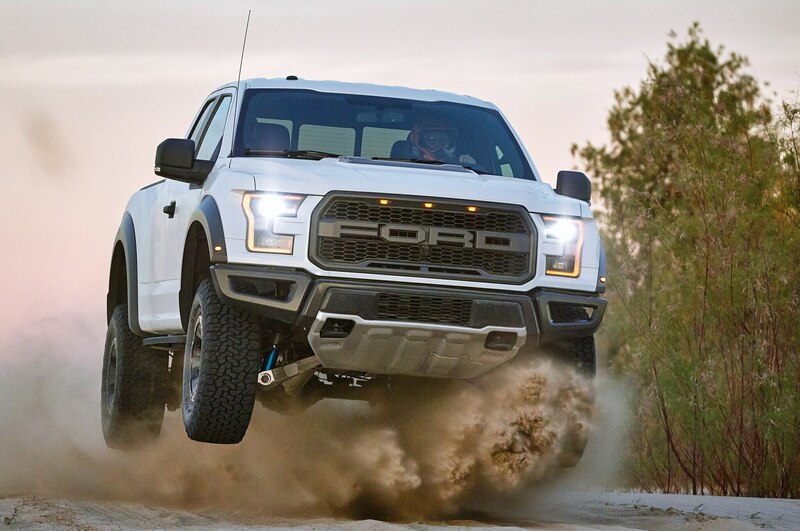 Without question, the 2017 Raptor is a smoother, quicker, and more competent race truck than before. 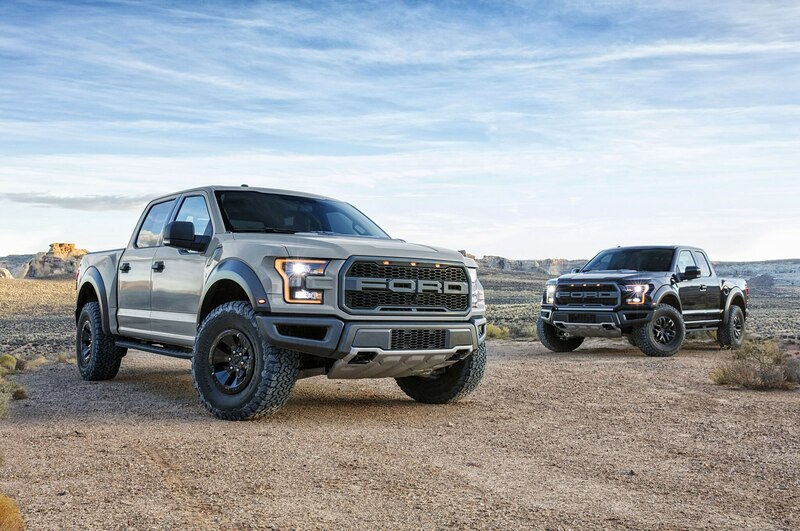 When you’re out there climbing rocks or ripping through the desert, other drivers will be able to know it’s a Raptor thanks to its redesigned front and rear bumpers, signature LED grille lights, blacked-out headlamps and exterior lighting, FORD lettering on the mesh grille as well as the tailgate, front fender extractors, a dropped beltline, and a new stamped aluminum front skid plate. 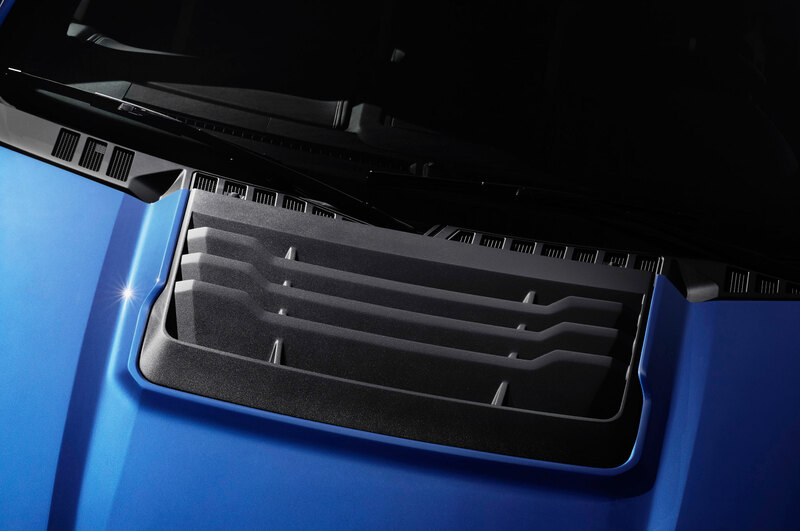 Upper and lower active grille shutters help improve aerodynamics; the running boards, tow hook covers, skid plates, vents, and under-body shielding all receive optimized geometry for the same reason. 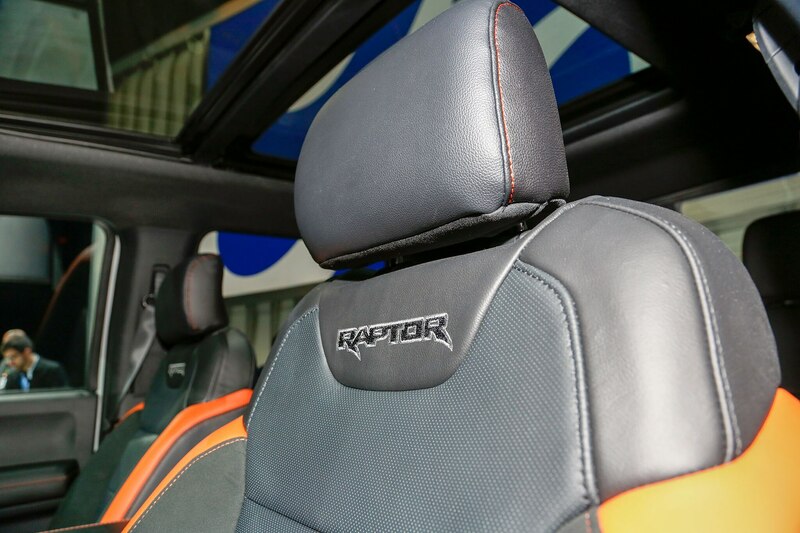 Inside, the Raptor’s race-inspired cockpit has bolstered seating for five accented with signature Raptor logos. 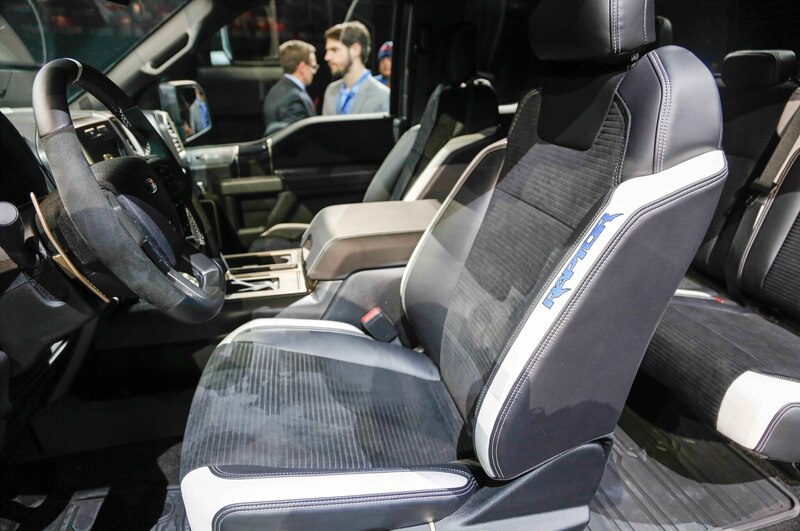 The seats can also be had in color-accented leather and carbon fiber trim accents are optional as well. 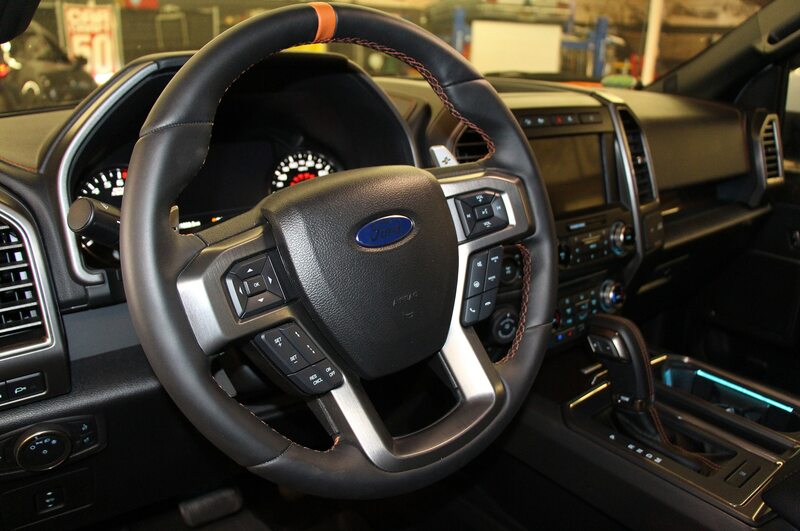 The contoured steering wheel is fitted with magnesium paddle shifters and there are aftermarket auxiliary switches mounted overhead for easy reach. 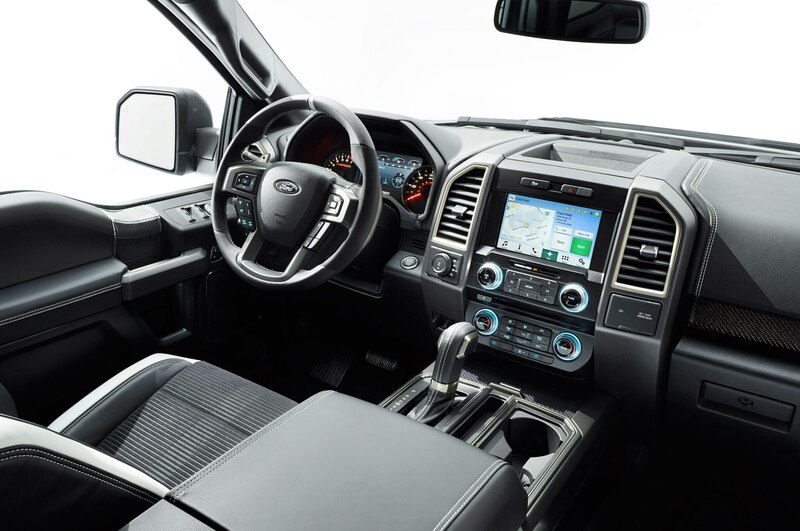 Technology features of merit include Ford’s Sync 3 connectivity system, large LED screens in the center stack and instrument cluster, and a 360-degree camera system with a split-view display. 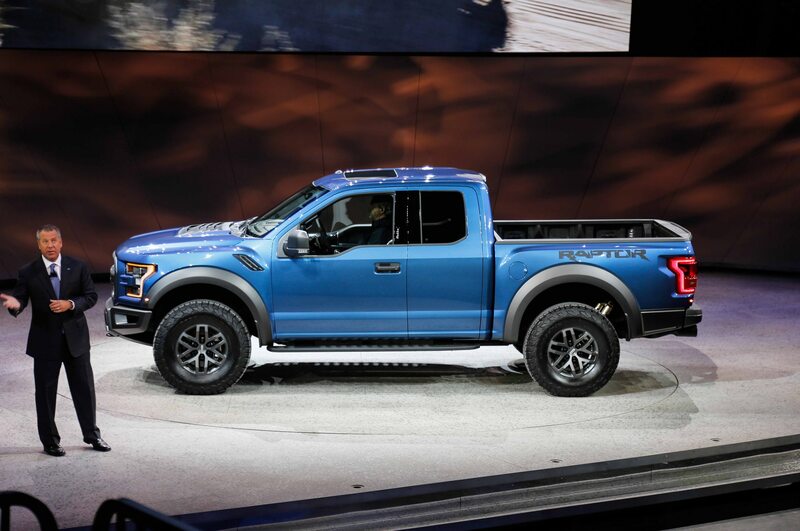 As before, Raptor comes in two body styles with only a short bed. 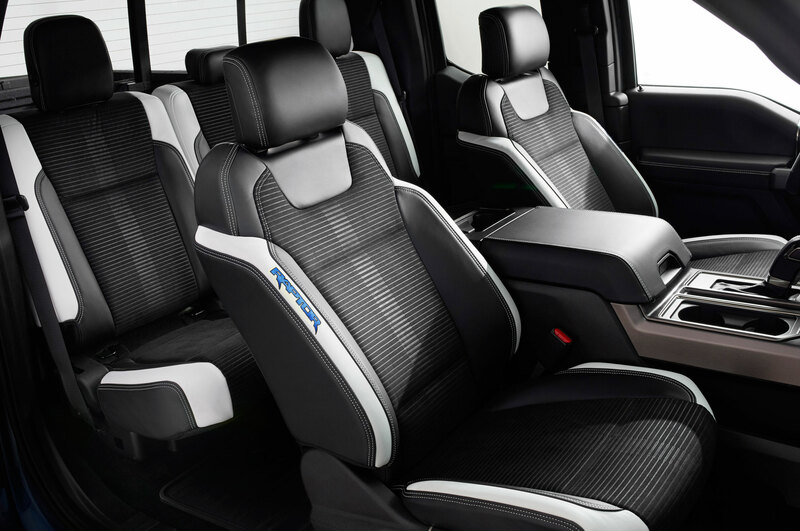 The Super Cab starts at $49,520, and the SuperCrew begins at $51,310—a figure that can get up to $70,000 when well-optioned. 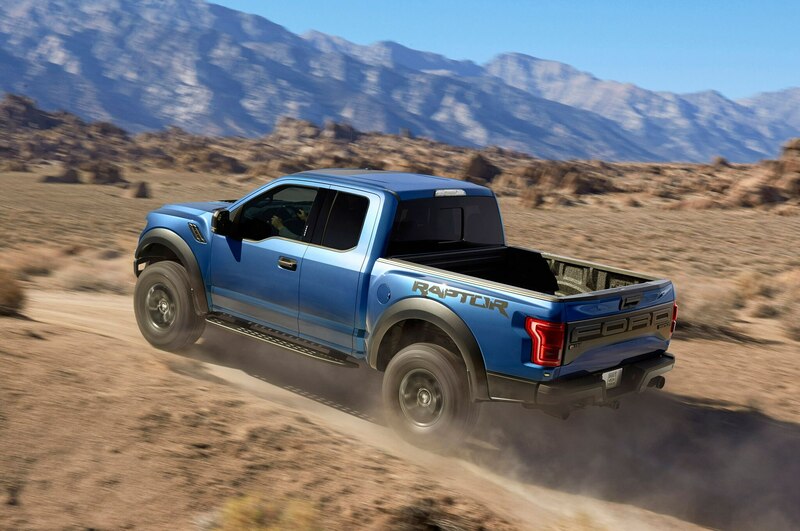 After our time with the new Raptor, we can safely say it’s worth the money for a production-spec truck with the chops to drive straight off the showroom floor and onto some of the roughest terrain imaginable. 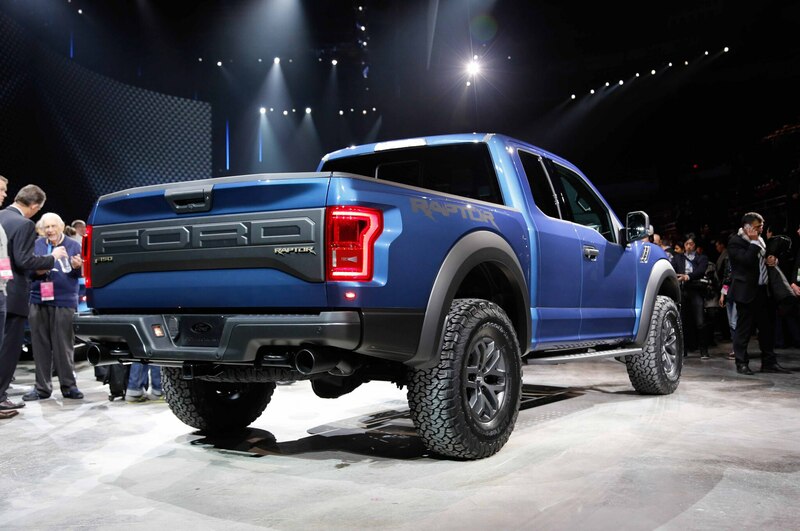 Weight is reduced by 500 pounds while the power-to-weight ratio is improved by 20 percent. 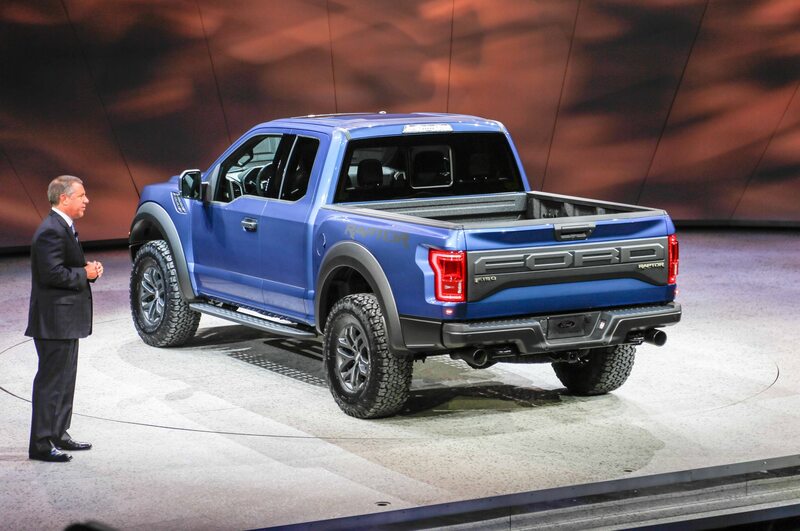 The track is 6 inches wider, and there are nearly 2 inches of extra ground clearance. 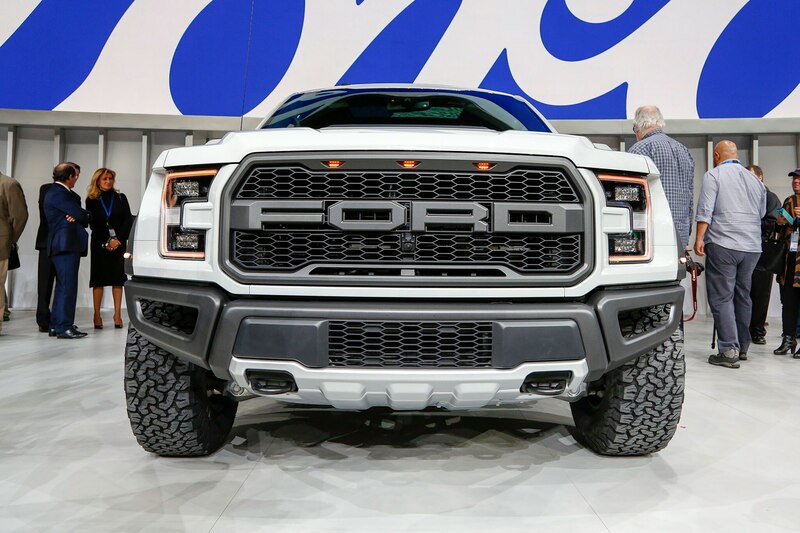 Front suspension travel is increased by 0.8-inch at the front and 1.9-inch at the rear for a total of 13.0 and 13.9 inches, respectively. 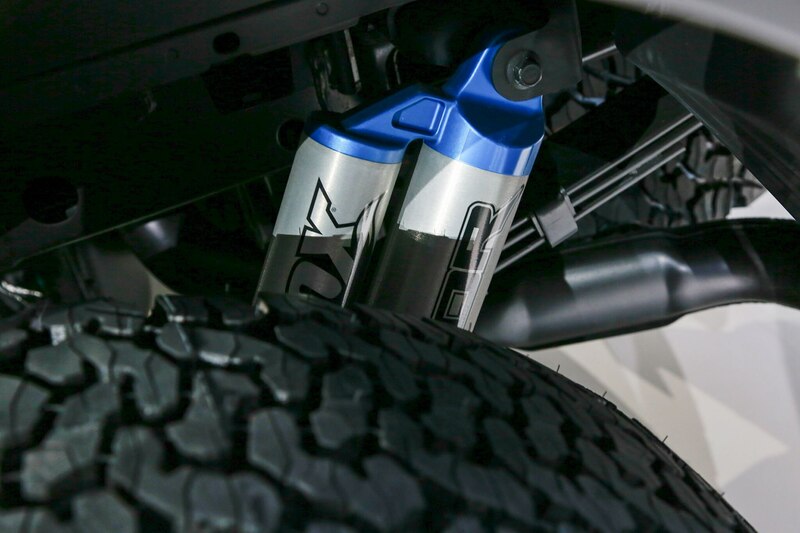 Purpose-built Fox Racing Shox are 44 percent larger with 3.0-inch diameter shock canisters (2.5 inches previously) and nine-stage bypass damping, plus integrated hydraulic bump stops that minimize bottoming-out over rough terrain and deliver smoother ride on the road. 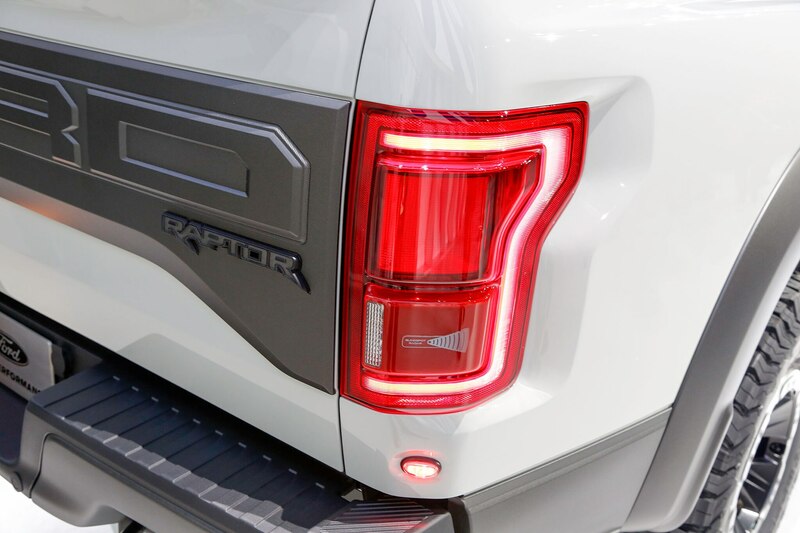 Redesigned front and rear bumper overhangs enable a 30-degree approach angle, 22-degree breakover angle, and 23-degree departure angle. 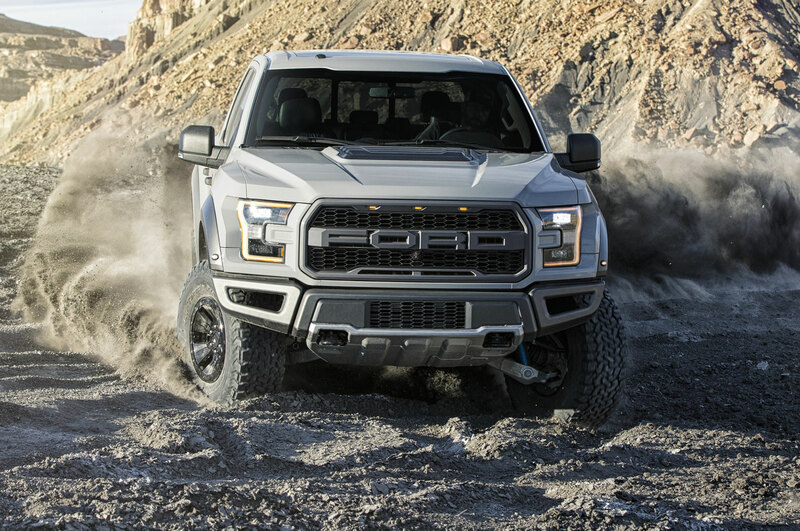 New 10-speed transmission is custom-engineered for the Raptor. 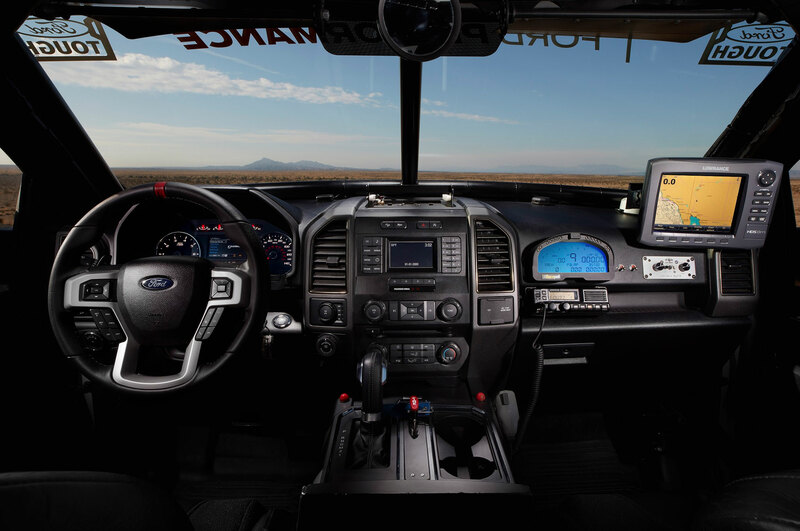 It is capable of non-sequential shifting and can go directly to the gear that provides the optimal engine output for the conditions. 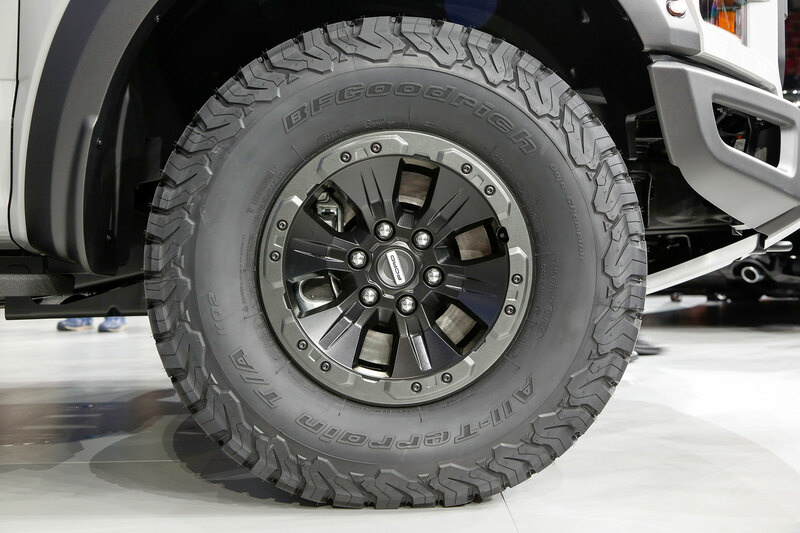 Exclusive 17-inch BF Goodrich KO2 tires have a unique tread pattern, wider contact tread patch, and tougher sidewalls for improved traction as well as lower rolling resistance. 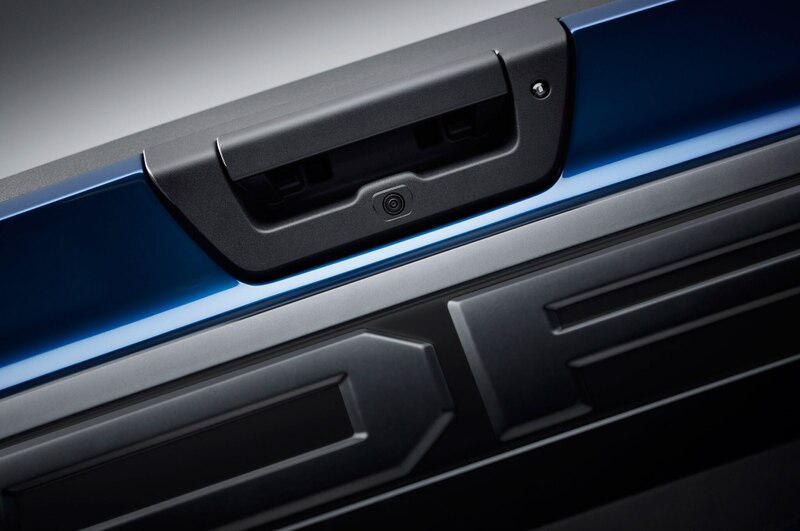 A new stamped aluminum skidplate protects the underbody from the transmission shield forward. 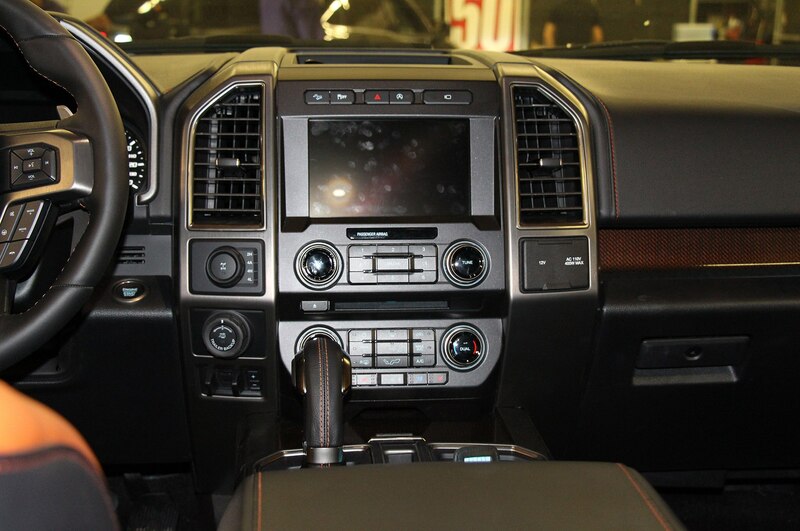 The engine sits further back in the chassis, lowering the center of gravity. 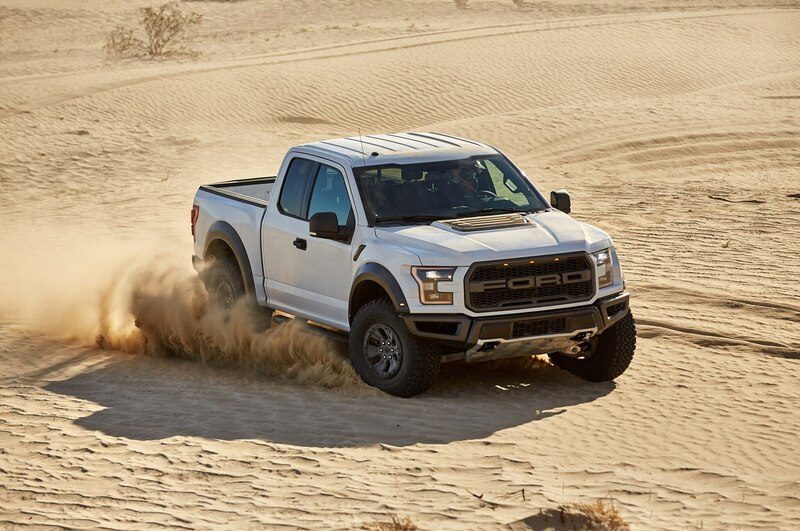 4Low mode with locking rear differential uses additional gear reduction (2.64.1 ratio) and 50:1 crawl ratio. 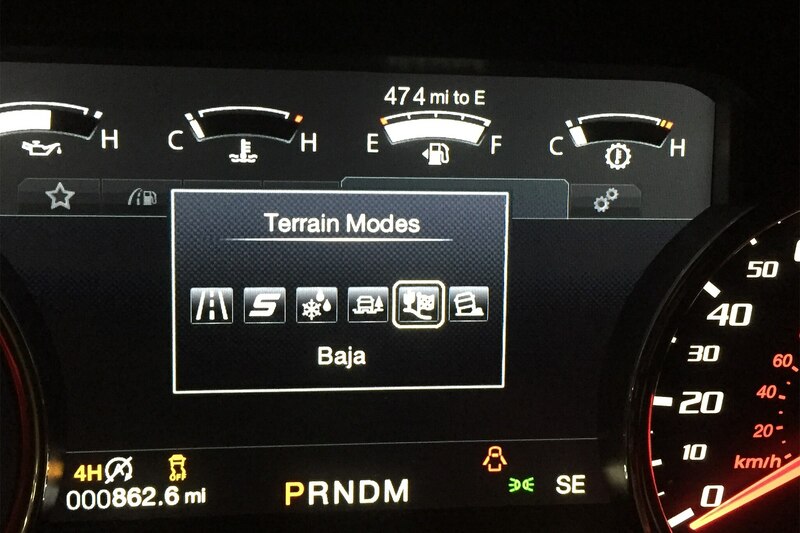 Driver selectable Terrain Modes: Normal; Sport; Weather (AWD); Mud and Sand (4HIGH, locked for enhanced traction in deep, loose surfaces); Baja (places vehicle in 4HIGH with unique transmission shift schedule and engine controls utilizing anti-lag technology for high-speed desert racing); Rock Crawl (4LOW with locking rear differential; additional gear reduction (2.64:1 ratio) provides a 50:1 crawl ratio).